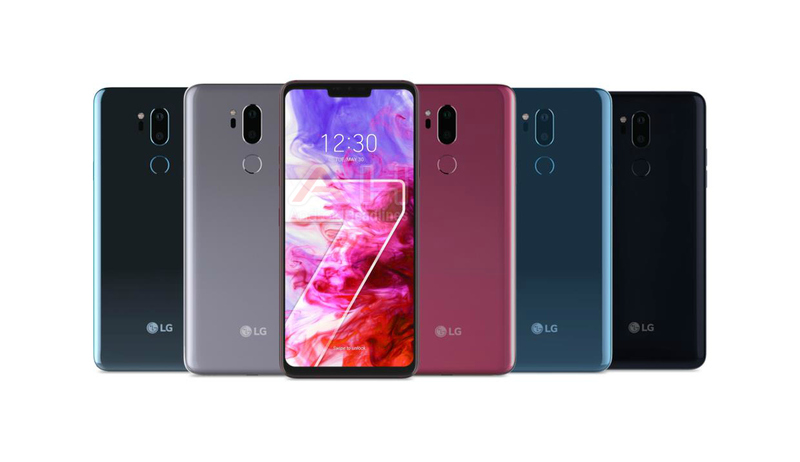 Home / LEAKS / LG / NEWS / LG G7 ThinQ renders appeared with All Color variants. LG G7 ThinQ renders appeared with All Color variants. The next flagship smartphone LG G7 from LG will come in five different color option as Android Headlines new report.We had seen some imaginary renders of G7 early,but it looks greats comapring to its predecessor. The LG G7 code named as Judy will arrive in Aurora Black,Platinum Grey,Moroccan Blue,Moroccan Blue(Matte) and Raspberry Gold colors.The Aurora black will be the default colour of G7 and will be avaialble globally while remaining color models avaialablity depends upon carriers and markets. Looking to its back design,it comes with notch on display and edge to edge display with thin bezels.The notch houses front camera ,speaker and sensors even also looks smaller while comparing to iphoneX.As expected it comes with dual camera on rear,but placed vertically on center with LED flash.Finger print scanner also fitted just below the cameras.